Born and raised in Regina, Saskatchewan, Joe learned at an early age the importance of a sound financial plan. He understands how imperative it is to protect yourself and your family from the unexpected. This is why he is so passionate about offering insurance and investment solutions to clients; so they can feel protected and lead happy, worry-free lives. Joe became a Sun Life Financial advisor in 2002 and moved to Moose Jaw in 2005 where he established what is now known as a thriving financial practice, Blue Whale Financial Solutions Inc. With his CERTIFIED FINANCIAL PLANNER®, designation, Joe’s specialties include comprehensive retirement, tax, estate and succession planning for individuals and businesses. Joe graduated from the University of Regina with a Bachelor of Finance degree. 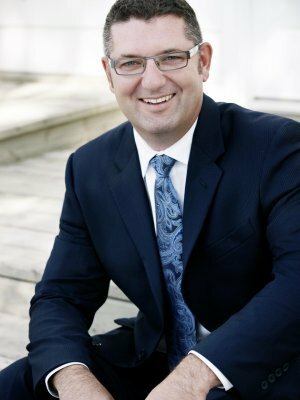 Before he became an advisor he took on various roles in the financial services industry including Investment Analyst and Fund Manager with The Saskatchewan Opportunities Corporation. he was the Training Manager at the Sun Life Financial Regina Financial Centre and represented Sun Life Financial advisors in Saskatchewan and Manitoba on Sun Life Financial's Sales Force Council and Sales Force Advisory Council. Joe is a member of the Million Dollar Round Table (MDRT)- – an independent international association representing the top five percent of financial services professionals helping clients reach their goals. He was also awarded Sun Life Financial's Holistic Advisor of the Year and Advisor of the Year (2014). Joe and his wife Krista have three wonderful daughters, Caitlin, Emily and Elizabeth. A strong sense of family values and community spirit is at the heart of Joe’s personality.